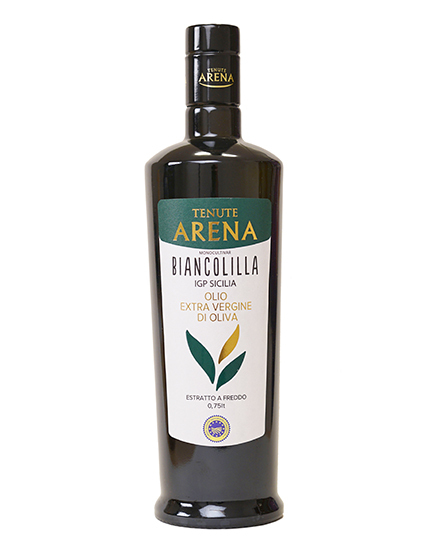 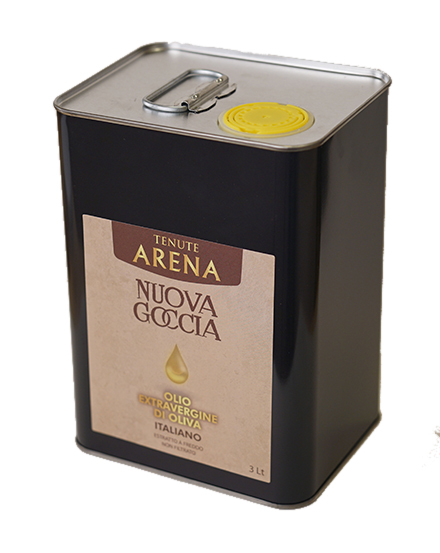 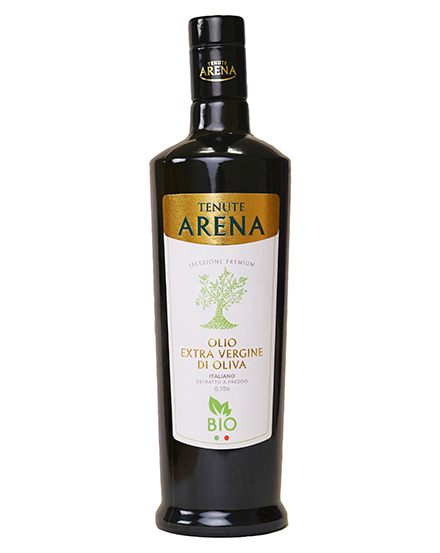 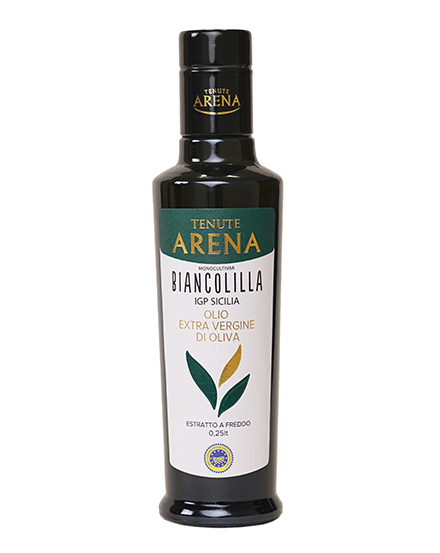 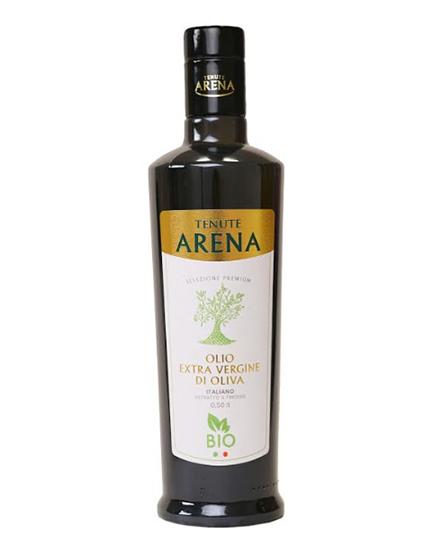 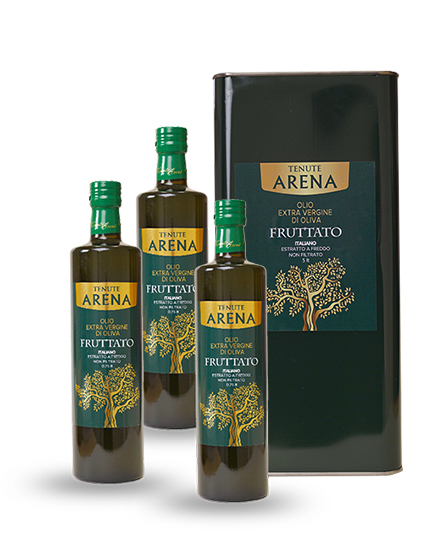 The Arena Estate Organic Extra Virgin Olive Oil is produced with native Sicilian “autochthonous cultivars” more resistant to unfavorable climatic conditions and weeds. 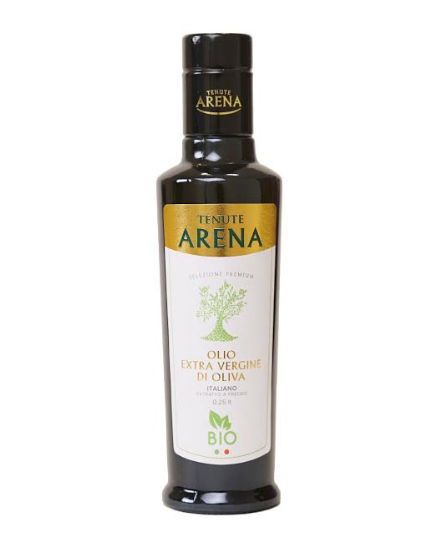 Our organic olives are harvested by hand when the degree of ripeness is perfect. 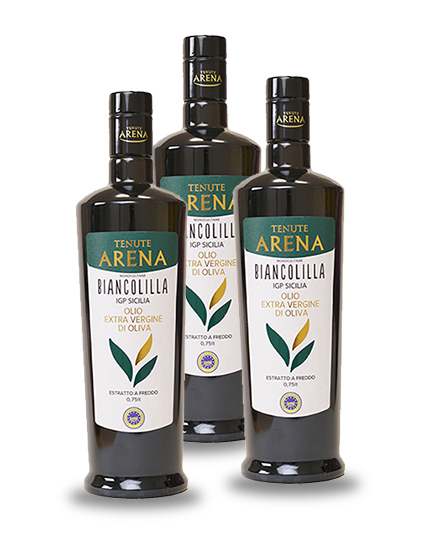 They under go cold extraction on the exact same day in which they were harvested, in order to obtain the best Organic Extra Virgin Olive Oil, rich in aromas and nutricious quality. 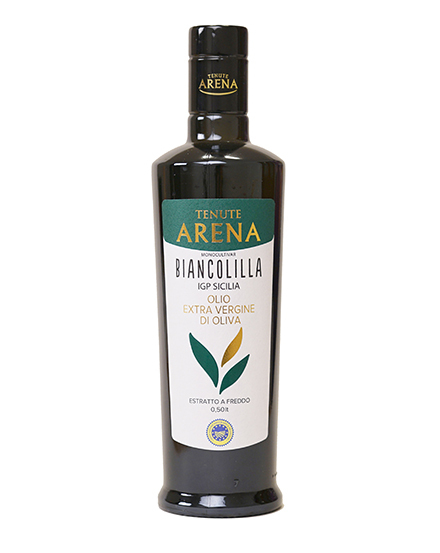 The Biancolilla is a Sicilian cultivar, one of the oldest in use, whose olive trees are two to three meters high, always green and very long-living. 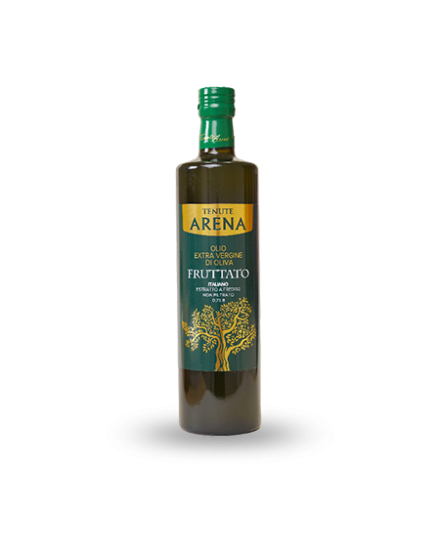 The name derives from the colour of the "white" and "lilac" ripening drupes, the olive is oval and has a pistachio green color before ripening and purple rose when ripe. 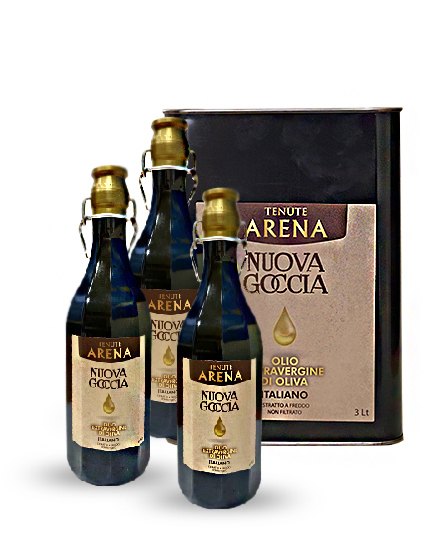 La Nuova Goccia (The New Drop), is oil made with the first olives of the new harvest, immediately crushed and bottled to retain its precious oils and its lively fragrance, Unfiltered and not decanted in order to preserve natural antioxidants. 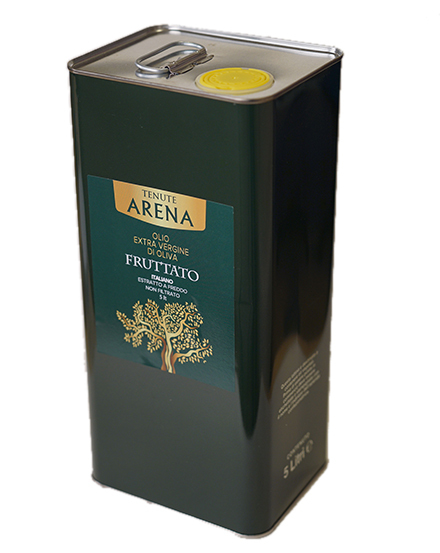 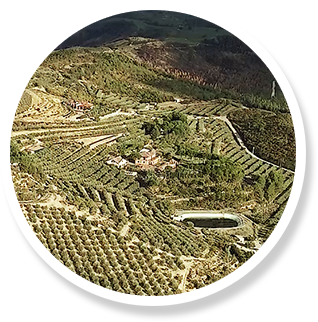 The Fruity Extra Virgin Olive Oils the result of the selecting only the highest quality olives, harvested when they are not yet fully ripe and pressed at the beginning of autumn. 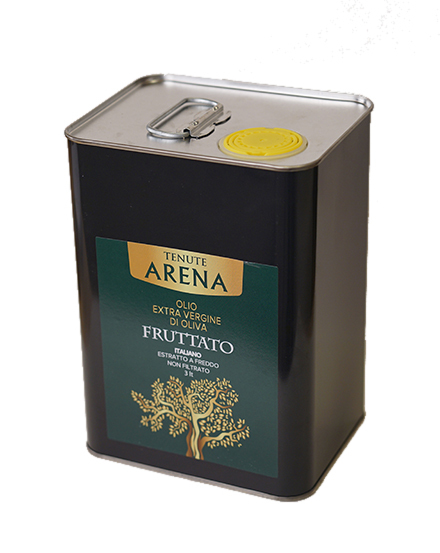 It has fruity and spicy notes of the Southern lands. 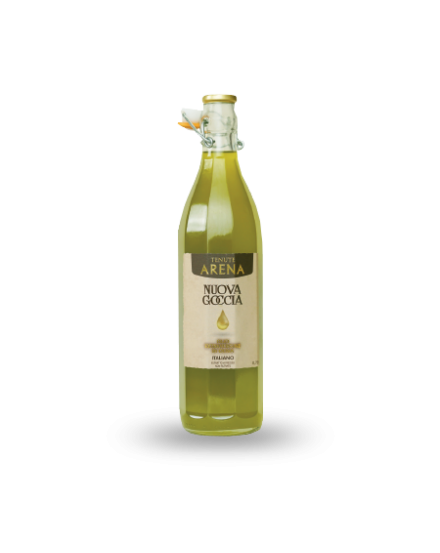 This oil is appreciated in particular by those palates that prefer stronger flavors. 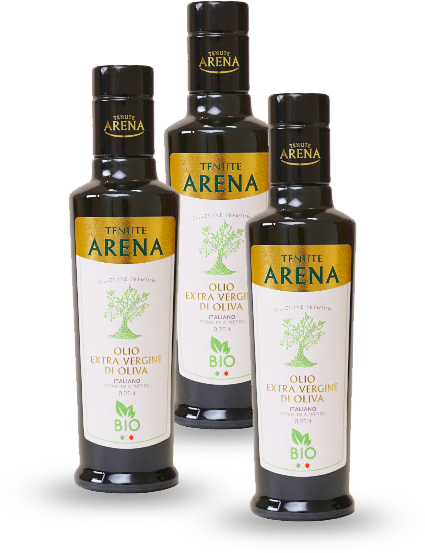 The Arena Estate expresses the sensitivity and enthusiasm of a new generation, that continues the family tradition started in 1966.